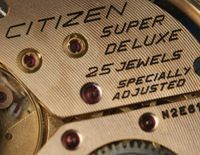 I’ve added a page about buying a vintage Citizen ‘bullhead’, correctly called the Challenge Timer. I’ve seen a lot of Challenge Timers on auction sites – well, on eBay – which have been re-furbished and often have after market dials. 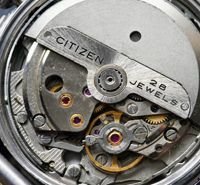 So to provide a bit of advice and information to help potential buyers, the new page provides key information as a guide to buying, especially if originality is what you’re after. 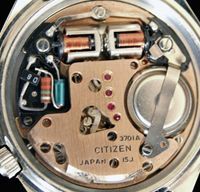 I’m seeking for a 8110 part which consist in the plastic ring which hold the movement in the watch case. (here is a photo). Do you know where I can find this one ? Congratulations for your blog and thanks for the info. thanks for your comments. 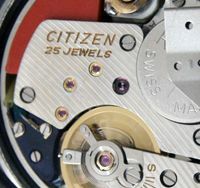 I’m afraid sourcing parts for vintage Citizens is difficult, so it’s usually a matter of finding a donor movement. 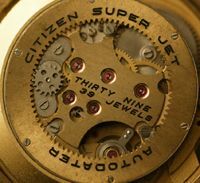 I don’t know where else you might find the movement ring – I need one myself for a different 8110 model!